I wandered around my house in the middle of the night, crying. Not many people know that. Not until now. Fueled by weep-inducing prednisone, I’d grab a box tissues and tip-toe downstairs while my husband, Pete, and our kids, Nicholas, then 10, and Christopher, 8, slept. Sometimes, I’d go online, visiting places like the fabulous message boards at Planet Cancer for somebody, anybody, who had any idea how you’re supposed to parent when you have cancer. I had stage three non-Hodgkin’s lymphoma that went undetected for too long. Doctors thought that I had Lyme’s disease or later, pneumonia, but nobody thought that this otherwise healthy 40-year-old mother had a tumor the size of a softball in her left lung. Nobody knew that I had about two months left to live. I spent much of that June in the hospital with five-day infusions of some of the nastiest of chemotherapy drugs out there. If you could make a dirty bomb out of chemo drugs, this is the stuff you’d put in it. The stuff that makes your hair fall out, your muscle tone disappear and your emotions turn to tears in the wee hours of the night. That’s when I Googled “parenting with cancer,” and mostly came up with information for parents whose children had cancer. There was one book, a great one by Dr. Wendy Harpham called, “When a Parent Has Cancer,” which I ordered around 3 o’clock one weekday morning. And there were a handful of sites with information about parenting with cancer, but no one clearinghouse for it all. I swore then that if I made it out alive, I’d change that. I’ve been in remission for nearly three-and-a-half years now. My kids are in middle school and doing alright. (If having a water gun fight in the yard in near darkness is alright, then they are fantastic at this very moment.) As a family, we have had to navigate the ups and the downs of parenting with cancer, and now I want to share with you how that can be done. And it can be done, no matter how you feel right now, you there with a box of tissues, wandering the house at night, crying, so your kids don’t see you do it during the day. 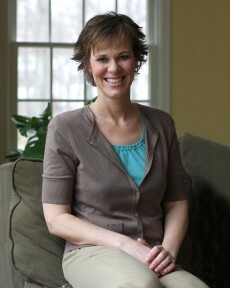 In time, ParentingWithCancer.com will be the site I looked for in the middle of the night when I had cancer. It will include articles by healthcare and psychological experts and stories from parents like you who have survived cancer. There’ll be information for spouses and caregivers, children, friends and family — pretty much anyone who loves a parent with cancer. It will be uplifting, heart-wrenching, realistic, sad, happy, and all that wrapped into one. Because there is no one way to parent with cancer, just as there’s no one type of cancer. There’s just us, a community for parenting with cancer. And for now, that’s just what we’ve been looking for. Jen….good idea. I hope it does well. I really admire you. Jen – I know this is no easy task … from having to walk the walk in order to NEED a place such as this, and then find the time and mojo to create something. So brava!! In talking with psychologists around the issue of parenting with cancer, they often tell me that the conversations even of this ISSUE need to happen with the cancer healthcare community. We’ve spent a lot of time as a culture dealing with the patient (makes sense …), and in doing things to “find a cure” (also a great idea), but as you know, a cancer diagnosis doesn’t just happen to the patient. And when that patient is a parent, whoa nelly. My first gut check reaction after my own diagnosis (right after, “I don’t want to die!” was, “Oh Lord, I don’t want to leave my son without a mother.” That immediate laser-like focus on my son is totally natural. We parents do that. We want to protect our kids. So giving other parents the HOW is a beautiful thing. You are an inspiration. You have realized your true calling and unselfishly have chosen to share it with others. Best of luck! PS see ya at the Jersey Shore soon! It’s about time that there is a place and space for Moms struggling with cancer can reach out in the middle of the night and be understood, heard, emotionally supported and loved. It seems to me that everyday another woman succumbs to some form of cancer. Whether is breast, colon, cervical, ovarian, liver or non- hodgkins lymphoma to name a few. Yes we want to remain healthy for ourselves and our family especially our children. Your commitment to instill hope and make a difference for those parents and children struggling to live their lives with zest and positivity after going through rigorous treatment and screeing preventative tests is a testament to your leadership and strength. It’s an absolute delight to have you as a friend and role model. All the best with the “birthing ” of your new baby. THANK YOU!!! Deeply, sincerely, thank you! You are one amazing and very brave woman. A book such as yours will be a welcomed help to many men and women that are going through your recently travelled path. This Jersey Girl is so proud of a fellow Jerseyite. You nailed it again Jen! Thank you for all of your inspiration. Now that I know of this amazing resource, I know where to send all my clients and friends who ask for referrals to this exact need. Thank you my dear! You are just perfect. I’m so amazed and proud of you at the same time….that you are thinking of others while still trying to juggle that big “dark thing in the corner”. My husband and I just returned from a fund raiser this past weekend for a very young widow with three small children who lost her husband suddenly to a rare form of cancer in August. The grace with how she’s holding up and dealing with the loss of her husband and needing to parent for two when she needs to grieve is more than humbling. Your site is a welcome bright spot. Thank you! 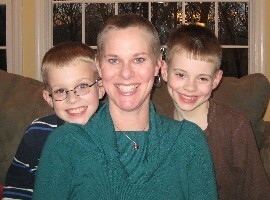 Next Entry: What Do You Say to a Mom with Cancer?